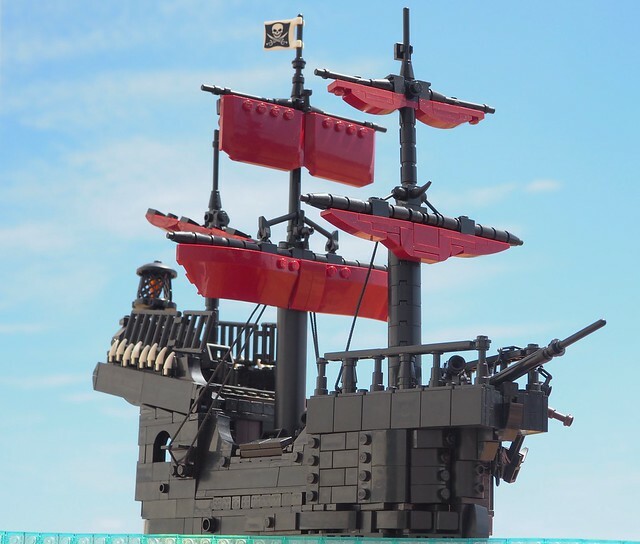 LEGO tall ships are a rare sight, which makes their impressive designs even more inspiring. Check out this pirating vessel by W. Navarre! A very intriguing and unique design, especially the curvature of the hull, which is my favorite part (look at that angling in the rear). So, grab your pirate crew and hop on board The Black Death! The open stud sea lies ahead. . .